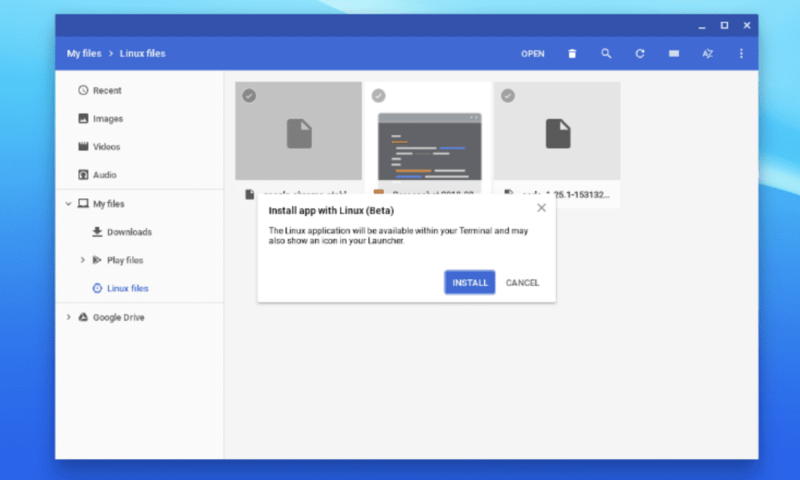 A few weeks back, I was tinkering around in the Canary channel and through some hacky loops and multiple attempts, I was able to install a Linux installer that allowed me to launch Debian(.deb) Linux packages on my Chromebox. Granted, the workaround was in vain as I got Steam up and running just to find that GPU support is still nowhere to be seen but hey, the installation worked so the experiment was a success. 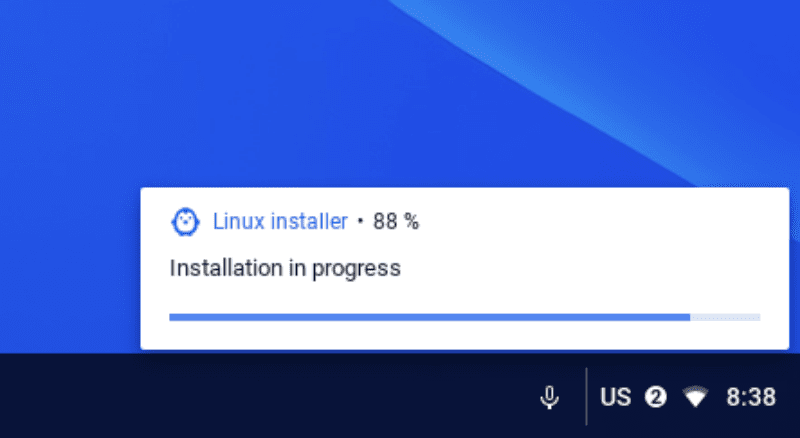 Shortly thereafter, XDA Developers shared the news that Chrome OS would soon be able to install Debian packages with a simple double-click just as you would on a Linux machine. After two Canary updates this weekend, I was pleased to find this function is now working in the highly experimental channel of Chrome OS. There are a couple of dependencies in order to prepare the Linux side to install and run Debian packages. Most terminal users will be very familiar with the commands and have likely already implemented them but for those who may attempt to get this up and running, you will need to run the following commands in your Terminal. You will be prompted that there are a dozen or more updates available. Simply press “Y” to accept and give it a few minutes to go through the process. I was able to get Chrome for Linux up and running in no time. From there, I decided to give a few more apps a try. Seeing that the original code from the Chromium repository referenced Visual Studio Code, I thought that a good one to try. 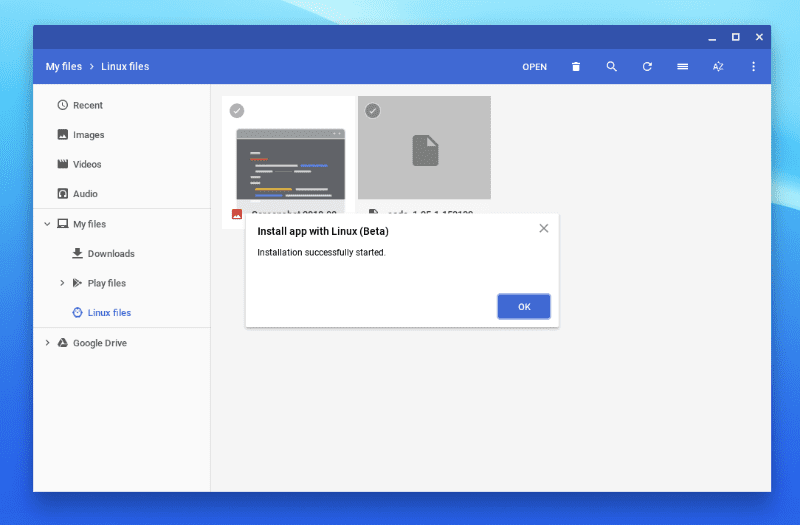 This is another huge leap forward for the “Crostini Project” and Linux apps on Chrome OS. We’ll talk more this week about what this could/should look like for the general consumer but for now, we are stoked to see these major updates happening at such a consistent and rapid pace.